Destination Knowlton >: Is Teknika Missing The Boat? Things around Brome Lake are heating up and it’s not just the spring temperatures that have people getting a little hot under the collar. 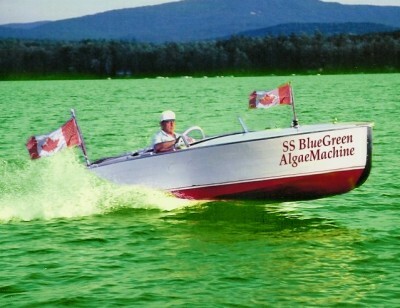 A recent news story sent a large wave through the town as the engineering firm who is to help decide on solutions for Brome Lakes phosphorous problems did a study for another private group and determined that motor boats are to be added to the list of causes of yearly blue green algae problems. Many people did a double take, including the town that have mandated Teknika to do an action plan for them and even more so, concerned boat owners who feel they are being unfairly targeted as culprits in this story. With Brome Lake being of major importance for tourism and recreation it would be damaging to the local economy to eliminate motorized boats from the lake but would such a move solve the problem? The town has discussed enforcing permits for boats on the lake and other ideas to control the boats but there doesn't seem to be much evidence to prove that this is a real solution to preventing algae blooms but perhaps the engineering firm’s final report will give some new data. Some feel boats are a being used as a convenient scapegoat and cursory investigation into existing studies doesn’t reveal a wealth of support for the theory. 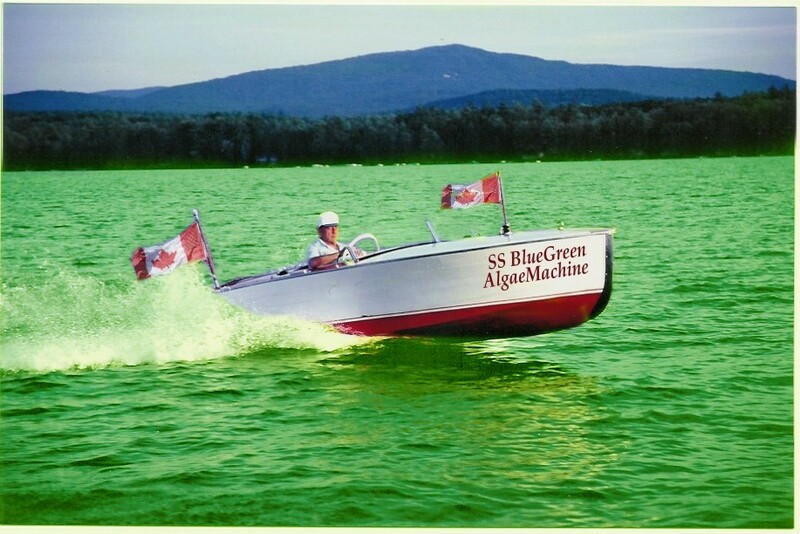 Certainly it has been remarked that thinking that eliminating boats from a lake will stop blue green algae is definitely rowing with only one paddle! 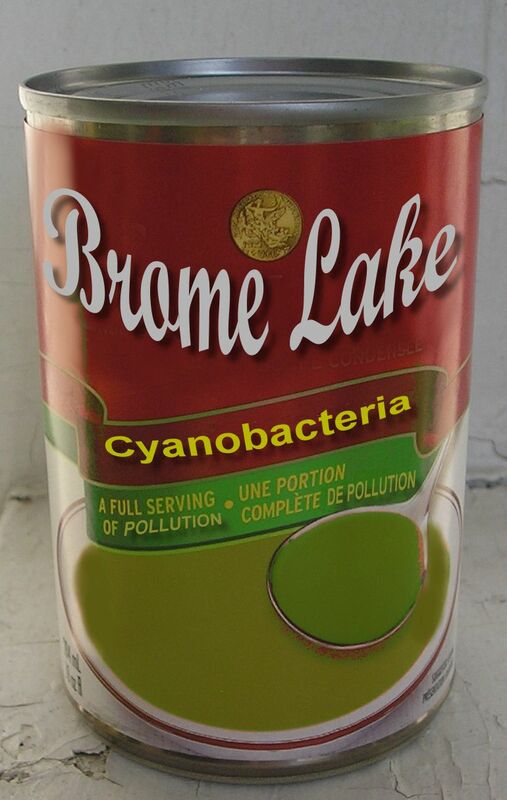 So…it looks like Brome Lake is going to be a big topic of discussion again this summer as various groups begin to present their cases for what can be done to stop the closing of the Lake by cyanobacteria blue-green algae; problems that have plagued Lac Brome for years. Groups like Renaissance Lac Brome are undertaking their own plan to remedy the problem, unwilling to stand idly by and wait for officials to decide on affirmative action. Renaissance Lac Brome has advertised for some part time help in their need to help deal with the problem in their own way and, as was noted. the Town of Brome Lake has commissioned a study by Teknika, a local engineering firm, to evaluate the best strategies for cleaning up the lake which is due in May. Brome Lake was front page news on the regional newspaper "La Voix de l'Est" as it was announced that the levels of phosphorous were at very high levels. This wasn't really a breaking news story as it has been well known for years that the levels of phosphorous in the lake we're high and lead to yearly algae blooms. What was shocking to some residents is that the news came from a 2006 Teknika report they we’re paid to complete for a group called "L'association pour la conservation du Lac Brome Inc". 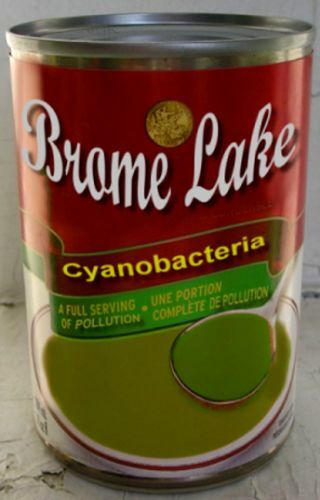 Apparently, as reported in the newspaper, Teknika blamed motor boats on Brome Lake for augmenting the problems because waves left from the wakes of boats eroded the shoreline which allowed more sediment into the lake which contained the nutrients causing cyanobacteria. The last council meeting saw a group of boat supporters present their side of the story; the boat traffic on the lake is not the source of the problem. Indeed if we look at other lakes in the Eastern Townships and the surrounding Quebec, Vermont regions we can see that not all lakes that restrict boats are free from blue-green algae and not all lakes that allow boats are plagued with blue-green algae. "L'association pour la conservation du Lac Brome Inc" apparently asked Teknika-HBA to determine if there was a link between motorized water craft on the lake and the degradation of water quality and Teknika did their study and determined that, while not being absolutely conclusive, yes indeed waves from boats did influence the sediments in the lake. In eloquent consultation fashion, the vice president of Teknika-HBA, Pierre Bertrand, when asked by journalists what he thought of the subject of boats on Brome Lake, preferred to say it was up to the residents of Lac Brome. Some people are grumbling that Teknika are just re-enforcing the anti-boat position of "The Association for the Conservation of Lac Brome Inc."
Other reports said the mayor of Brome Lake, Richard Wisdom, was understandably upset with the Association and the report from Teknika. Lac Brome had asked Teknika to study recent information on the lake and to provide a plan of action and requested all residents and groups concerned with saving the lake to gather any pertinent information and to present it to Teknika so they could assimilate data and new technological advances in lake pollution control into a formal plan of action for the town. The fact that Teknika, while having a mandate from the town, is also preparing studies for groups with, what some residents argue, have an agenda leaves the impression that Teknika-HBA are more serious about the consulting business and not the environment business and solving the problem. Hopefully before too many theories abound level heads will prevail and the recipe for success will be understood. The news caused some concern and even embarrassment to the town and the Mayor wondered why The Association wasn't working alongside the town instead of running on a tangent, but some residents wonder the same about Teknika now. Will the upcoming report for the town from the engineering firm be a valid outline of actions to be taken or will it be full of vaporous conclusions and ephemeral recommendations. Some vocal residents are betting that the firm's report will involve large scale water diversions and the construction of storm basins as this, big construction projects, are what engineering firms are best known for. Some point to comments by the engineering firm and feel they prove that Teknika is missing the boat when it comes to Brome Lake. 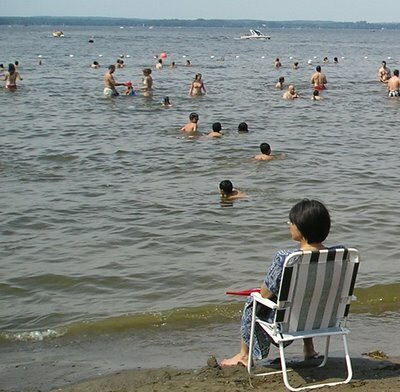 According to the article in the newspaper Pierre Bertrand from Teknika-HBA, said that there was nothing that could be done with the phosphorous already in the lake and all they could do was decrease new sources of phosphorous from entering the lake! Many saw that as an admission that the engineering firm may be best left to design bridges and concrete storm basins as such statements are tantamount to saying “nothing can be done.” What will Teknika recommend for our Lake if already there seems to be the admission that nothing can be done to help the existing problems in the lake. If a patient was told “nothing can be done” by a doctor the patient would likely get a new doctor, one who knows more about the symptoms and treatment. Of course the patient needs to ask the proper kind of doctor and maybe in the case of our poor ill Brome Lake; we need studies from those who fully understand the healing of living aquatic-ecosystems. Is Teknika the right choice for the job? The jury of public opinion is still hearing the evidence! Mr. Bertrand, according to the journalists report, then explained how low oxygen in the deep waters caused the phosphorous in the lakes sediment to solubalize and rise to the surface where it would become an algae bloom. If this is the case then certainly there are things that can be done! According to the Government of Canada one solution would seem to be aeration as this would raise oxygen levels in the deep areas of the lake and basically “seal” the sediments into place. Theeir website shows a good demonstration of the process: http://www.agr.gc.ca/pfra/flash/dugout/en/dugout_e.htm . Oxygen is obviously key in maintaining life and health in any living entity and a lake is no exception. Aerating of lakes seems to be an idea slow to come to Quebec "experts" in the environmental field which is unfortunate; Waterloo had maintained an aeration system for years and recently replaced their aeration system in Waterloo Lake in 2003 for under $50,000 dollars. The Town of Waterloo understands that their current aeration system should be enlarged but at least they took the initiative towards a solution. Some residents of Lac Brome see thousands and thousands of dollars going towards paying for studies and plans to be just as good as avoiding taking control of the situation and taking action. Aeration of Lac Brome seems to not be an idea favorable with “experts” but maybe this is because it is more lucrative to study how to solve a problem than it is to actually solve it. It seems to more than a few citizens that Teknika blaming boats is, well…completely missing the boat! Some previously published studies available on the Internet seem to differ somewhat from the summarized findings of Teknika as reported by the newspaper. One U.S. Department of Interior funded study saw two-weeks of boat damage assessment by environmental experts on lakes up to 40 feet in depth where they placed instruments to measure water velocity and turbidity on the bottom of each lake, then ran different types of boats over them at a wide range of speeds. Data was gathered as the boats traveled at different speeds and at different depths and after testing boats with both outboard and inboard motors and personal watercraft (jet skis), they came up with a surprising result: it was mainly at depths between two and seven feet, with boats cruising at medium speeds that caused the most damage. Most boats in Brome Lake seem to cruise in deeper waters and at speeds that actually reduce wake effects as the US study showed that higher speeds caused fewer wakes because the boats were higher out of the water! Teknika seemed to pass over any association with speed of watercraft and instead focused on the size of the motors and implied damaging effects in much deeper waters than the US study indicated. 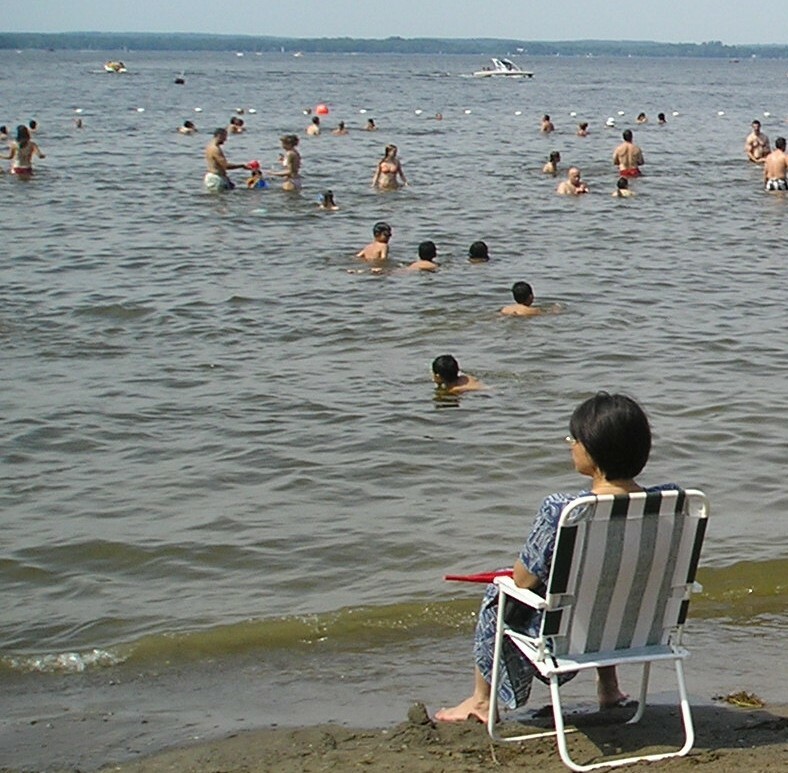 It seems to some critics that “L’association pour la conservation du Lac Brome Inc” got from Teknika a report that says exactly what they wanted to hear and are now going to use it to influence decisions regarding the lake. A Similar analogy or self-fulfilling prophecy would be like Imperial Tobacco hiring a consultant to prove that cigarettes aren’t really so bad…the final consultants report, costing thousands of dollars, will concretely prove the hypothesis of the client who can then lobby for their cause based on "expert opinion"! In the case of our Lake some are asking if this sort of politics is acceptable. It will be difficult for someone to take control of the project and bring all sides together in harmony what with so many groups seeming to know what is best for the lake; until everyone gets united for the sake of the Lake and the community it is likely to be a divisive issue for some time.